Novogene is doubling its number of Pacific Biosciences (PacBio) Sequel Systems by agreeing to purchase 10 more of the sequencers, the companies said. Novogene is the world’s largest user of PacBio’s Sequel System, a nucleic acid sequencing platform launched in September 2015. Sequel System is designed to help researchers generate comprehensive de novo assemblies, and advance beyond fragmented draft genomes. Sequel System is based on PacBio’s unique Single Molecule, Real-Time (SMRT) technology and includes exceptionally long sequencing reads, and a level of consensus accuracy that according to PacBio is the highest available. Explaining its use of Sequel Systems on its website, Novozyme noted the sequencing platform provides average read lengths of greater than 10kb, with some reads greater than 60kb, as well as >99.999% (QV50) consensus accuracy. 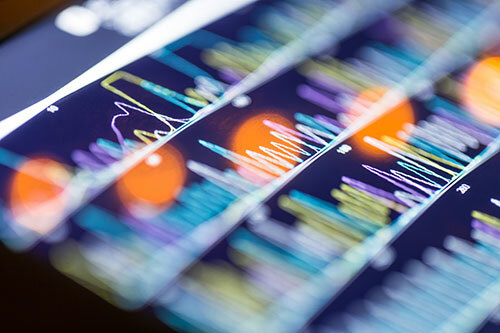 “The overarching theme is to get highly accurate information but also compete information, so with the long reads of PacBio and the high accuracy you get a very good picture of particular genes of interest,” PacBio CSO Jonas Korlach told Clinical OMICs in a recent interview. The capability of longer reads, he added, enables researchers to study genes known to be clinically important, but unaccessible due to limitations of NGS technology, forcing researchers to use slower assays such as Sanger sequencing and MLPA to get at the variation within those genes. “There is a long list of genes that fall in to that category. We see those as really good opportunities for the short term,” Korlach said. Medium and longer-term opportunities center around sequencing of an individual patient’s entire genome with a high level of completeness and accuracy, he added, with PacBio viewing clinical use of Sequel technology as a significant growth opportunity. Sequel, says PacBio, offers uniform coverage with no amplification required and even coverage across guanine-cytosine (GC) content—as well as the ability to directly detect DNA modifications using polymerase kinetics for simultaneous epigenetic characterization, and produce high intra-molecular consensus accuracy through Circular Consensus Sequencing (CCS). Sequel System delivers about 7x more throughput with 1 million zero-mode waveguides (ZMWs) per SMRT Cell, more scalability, and lower sequencing costs than PacBio’s earlier-generation sequencing platform RS II System, while maintaining the same benefits, according to PacBio. Other features of the sequencing system include run-time flexibility ranging from 30 minutes to 10 hours per SMRT Cell, and run-size flexibility ranging from 1 to 16 SMRT Cells per run. Novogene’s purchase is its second involving Sequel Systems. In January, Novogene agreed to buy PacBio’s first 10 Sequel Systems through China’s Nanjing Yangzi State-Owned Investment Group, citing the platform’s ability to sequence large genomic libraries that yield mean read lengths of 10-18kb. “The overwhelming demand for SMRT Sequencing in the few months since we began running the Sequel Systems has required us to double our capacity in a short amount of time,” Novogene founder and CEO Ruiqiang Li, Ph.D., said in a statement. “Some of the large projects we have planned include building a database of structural variants in 1,000 Chinese individuals as part of the Chinese precision medicine initiative. “In addition, we have partnered with the Global Ant Genomics Alliance to sequence 300 different species of ants to provide a comprehensive look at genomic diversity in ant genera,” Dr. Li added. Novogene also operates the largest SMRT Sequencing service center in the world. “We are delighted that they have successfully ramped up their utilization of the systems so quickly, and that high demand for SMRT Sequencing services in China has led them to already increase their capacity,” added PacBio Chairman and CEO Michael Hunkapiller, Ph.D. But while Novogene may be the largest user of Sequel System, the company also uses 30 Illumina HiSeq X and 25 NovaSeq 6000 sequencing instruments—which according to Novogene gives it the largest and most advanced Illumina sequencing capacities in the world, capable of sequencing 280,000 whole human genomes per year. During the first six months of this year, PacBio reported $19.7 million from combined sales of Sequel and RSII instruments—a separate Sequel number was not furnished—and $18.1 million from sales of consumables, for total product revenue of $37.8 million. The Sequel-RSII figure is 20.8% above the $16.3 million reported during January-June 2016, when the company reported total product revenue of $26 million, including $9.7 million from sales of consumables. “The increase in instrument sales for the six -month period ended June 30, 2017 was primarily attributable to increased Sequel instrument shipments and installations,” PacBio stated in its Form 10-Q for the second quarter, filed yesterday. However, during the second quarter, Sequel-RSII combined sales dipped year-over-year by 17%, to $7.1 million from $8.6 million. Consumable sales nearly doubled from $5 million to $9.4 million, which allowed for total product revenues to show a nearly 22% increase, to $16.548 million. The quarterly year-over-year decline in total revenue was 3%, to $20.1 million in Q2 2017 from $20.7 million a year earlier, since unlike Q2 2016, PacBio did not receive $3.6 million in contractual revenue from Roche, after it terminated a contract with PacBio effective February 10.